Aerated concrete manufacturers, on numerous sales sites, insist that there is no better construction material. At the not less massive, construction forums claim the opposite, it is impossible to live comfortably in aerated concrete houses. The purpose of this article is to reveal the truth. 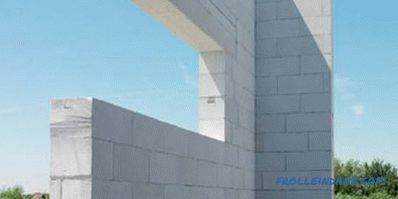 What kind of pros and cons have aerated concrete blocks, in which specific technological processes for the construction of their use is optimal, and in which there is an alternative. How not to overpay for material and work, and do not repent of their deeds in consequence. Before we consider directly the pros and cons of aerated concrete, let's define and see what kind of material we are dealing with. 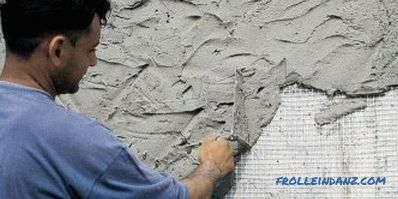 There are several ways to make aerated concrete products. In the factory used autoclave and hydration methods. However, the initial stages of the process are identical for all types. caps - represent a monolithic structure. Mainly used in high volume production. Many recipes are used, depending on their use, the final technical characteristics of the products differ. The prepared mixture is poured into molds, preheated to 40 0 C, and carefully leveled. Significant differences that affect the quality of the blocks produced begin here. When placed in an autoclave, solidification occurs at elevated pressure up to 12 bar, humidity and temperature up to 2000C. 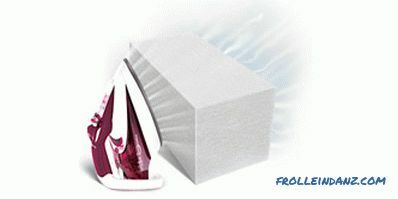 Such products are the most durable and quality. Can be used for masonry bearing walls. When hydrated curing forms are placed in a special box with heated and high humidity. Such aerated concrete is used for insulation. When making artisanal production, the forms are simply wrapped for several hours before being removed for further drying in unsuitable premises. 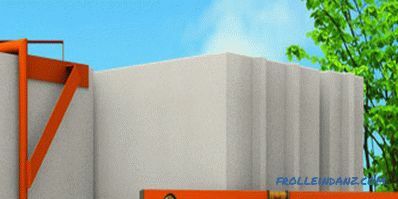 Such blocks are better nowhere to use. First of all, aerated concrete blocks are divided by brands. Brand is actually the density of the product. D350 0.7-1.0 0.08-0.09 Very fragile material, used as insulation. D400 1-1.5 0.1-0.11 Used as insulation to fill openings and the construction of piers. D500 2-3 0.12-0.13 Bearing walls in low-rise construction. There are special products created by a special recipe with the addition of chemically active modifiers that have enhanced heat resistance or sound insulation. Such blocks are used for cladding or construction of specialized structures. Also, the products are divided by the type of the binder: lime-plaster and cement. And by the type of fillers: slag, ash, sand, using the waste of ferroalloy production and secondary products. 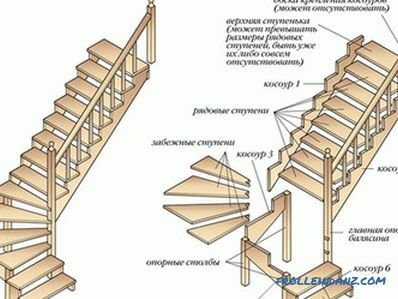 The use of all these materials is regulated by GOST. These materials have little effect on the basic strength and thermal insulation characteristics of the final product. A small proportion of the material allows to produce products of enlarged sizes. 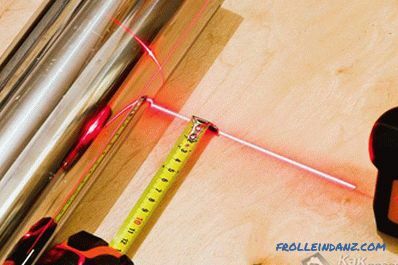 The most popular technological form is a parallelepiped with grooves and ridges on the ends. At the same time, the height and length of the element remain standard 250x625mm, and the width varies between 100-400mm. There are elements of other shapes and sizes for insulation or device reinforced lintels. The main indicator that managers focus on Sales, this is an incredible level of insulation material. Aerated concrete wall will have a lower cost than the construction of bricks with comparable thermal insulation properties. 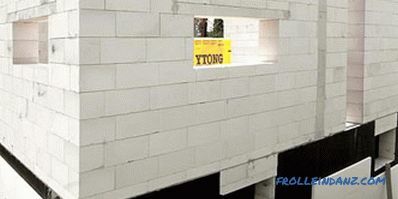 High accuracy and large block sizes make it possible to erect walls with minimal deviations and high speed .Respectively expenses for external finishing decrease. 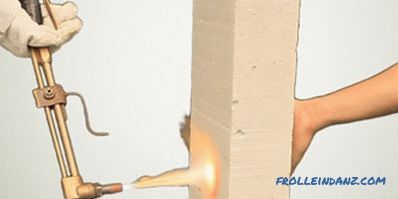 The use of grooved elements prevents the formation of gaps in the masonry. 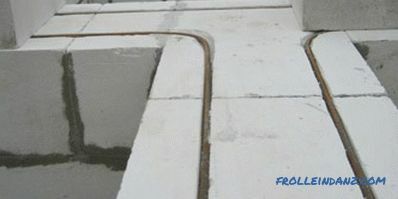 Use a special adhesive instead of the usual cement mix minimizes the effect of cold bridges. This reduces heat loss from 25% to 8-10%. The amount of glue used is substantially less, up to 5 times, compared to cement mortar. The vapor and air permeability coefficient is similar to that of wood. It is argued that air circulation and humidity levels in such a house will be regulated in a natural way, creating an optimal microclimate. High level of resistance to fire and other aggressive environmental influences . The low weight of the elements allows you to create light walls that do not need a heavy-duty foundation, which is also reduces construction costs. 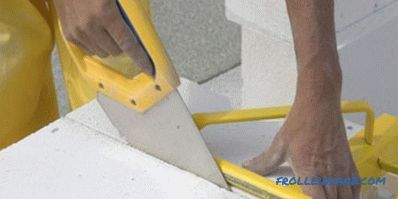 Aerated concrete blocks are easily sawed, drilled and amenable to any manual processing . 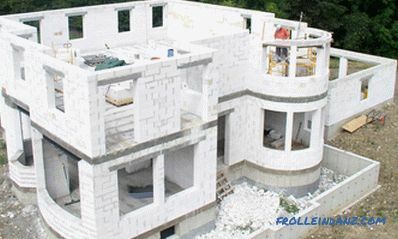 Aerated concrete blocks are an environmentally friendly building material. In this regard, it is better than brick but worse than wood. 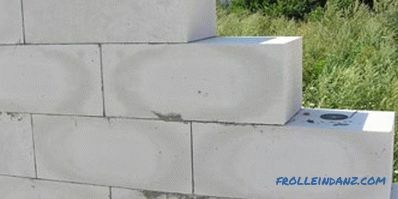 Aerated concrete blocks resistant to damage by various microorganisms, rodents and insects . Although a small green bloom on it can still be formed, but only in the case of constant moisture. 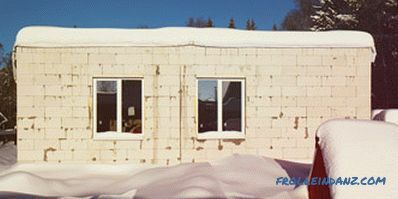 Aerated concrete blocks have a good level of frost resistance, which is F-50, i.e. 50 cycles freeze-defrost. 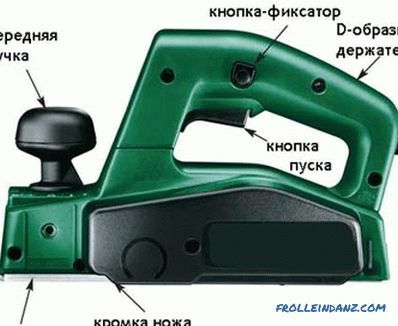 Let us examine the points, is it really true, the information provided by the sellers. Many manufacturers specify sufficient wall thickness of 380mm. But sellers forget to mention that this thickness is sufficient under ideal operating conditions and absolutely dry building material. 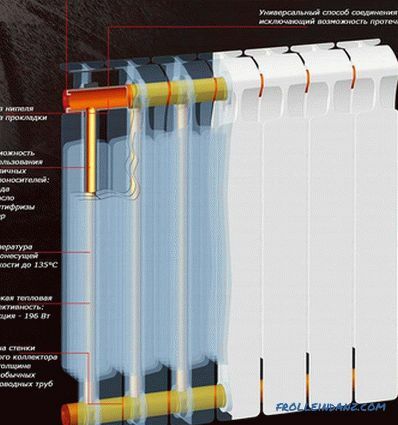 According to SNiP 23-01-99 "Building climatology", the thermal resistance of the outer wall for the central zone of Russia is a coefficient of 3.15. From another source of SNiP II-3-79 * "Construction Heat Engineering" we find out that the moisture level of aerated concrete blocks varies from a minimum of 5% to a maximum of 12%. For a product of the D500 brand, this will be 0.17 W / (M2x0C). 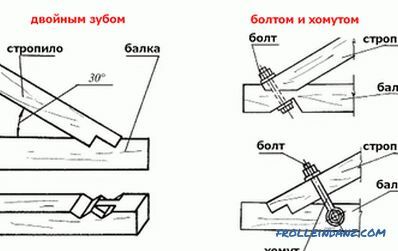 As a result, we obtain that the minimum wall thickness for the Moscow region should be 535 mm. 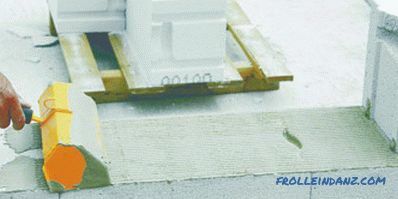 We take into account cold bridges, which give an additional 10% deterioration of protection - 588 mm. The presence of technologically necessary jumpers and reinforced belts to strengthen the window openings, which give another 10 to 30%, and we get a wall 65 cm thick. 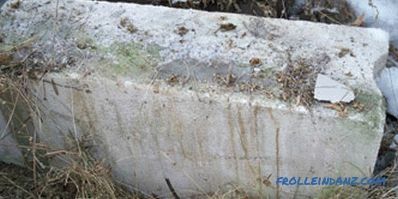 One of the most significant drawbacks of aerated concrete blocks is their high hygroscopicity. The amount of moisture in the total mass can reach 35%. This practically negates the thermal insulation qualities of the material. In addition, there is a swelling of elements, which leads to linear deformation, cracking and detachment. It is recommended to perform systematic, once every 2 years, surface treatment with special water-repellent impregnations, which leads to a significant increase in operating costs. 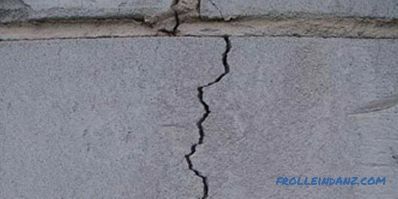 As read in numerous building forums There is a problem of cracking of walls, both along the lines of masonry, and of the blocks themselves. Practice shows that microcracks appear already at 2-4 year of operation, they can affect up to 20% of blocks. This is due to the fact that large building elements are very sensitive to shrinkage of the foundation, thus, plus aerated concrete turned into a minus. The glue used for fastening the blocks cannot ensure the solidity of the structure, as occurs with heavier brickwork. Hence the conclusion - to save on the foundation will not work. Another minus of aerated concrete manifests itself in interior decoration. Manufacturers recommend the use of gypsum-based plaster, and it really has a high level of adhesion to the aerated concrete surface. But with sharp thermal drops in such a wall, cracks immediately follow the edges of the masonry. These places need to be strengthened with an installation grid, which additionally increases the cost of finishing works. Aerated concrete blocks are high-tech material.Its production and installation requires a high level of knowledge and strict adherence to the process technology. 1. The feasibility of using aerated concrete blocks as the main structural material for the construction of a building is a big question, but with strict observance of the entire technology is possible. 2. 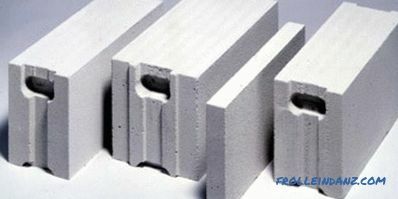 The use of elements from aerated concrete for the high-speed construction of internal lintels is, in principle, welcomed. 3. 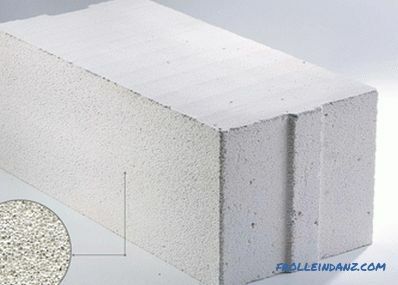 As a heat-insulating material, aerated concrete plates do not have a decisive advantage over traditional polystyrene foam or mineral wool, neither in price nor in processability of installation, and they are even slightly inferior in heat insulating properties.